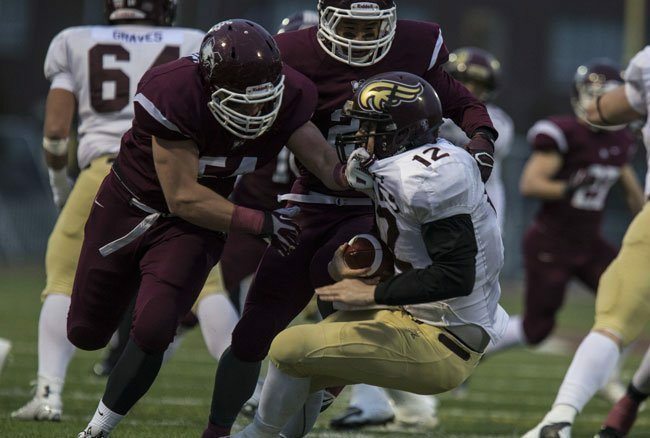 It’s not easy balancing being an academic All-Canadian and full-time football player. “It’s tough. I didn’t do so great in my first year, I had to learn strategies,” says the fifth-year McMaster player. “At the end of the day, it comes down to scheduling, knowing when everything is, getting ahead of stuff. If you don’t make a meticulous calendar, you’re in trouble. Even when you make a meticulous calendar, sometimes you just run out of time. It can be a bit of crazy ride trying to balance everything, but it’s doable. Every year I’ve gotten a little better at it, and now it’s just like clockwork." Mackie’s journey as a football player began when he entered high school. His size quickly caught the eye of some of the football team’s coaches, and he was encouraged to join the team. I grew up watching football, finally my mom decided to let me play. I went out there and ended up being pretty good, outwork anyone else on the football field. But it wasn’t until the summer of 2012 where Mackie came to the realization that he wanted to pursue football at the next level. His summer league had just gone undefeated and won the championship, Mackie had played a large role in the team’s success. It was at that point that he decided to start to seriously train and pursue his options of playing at the university level. 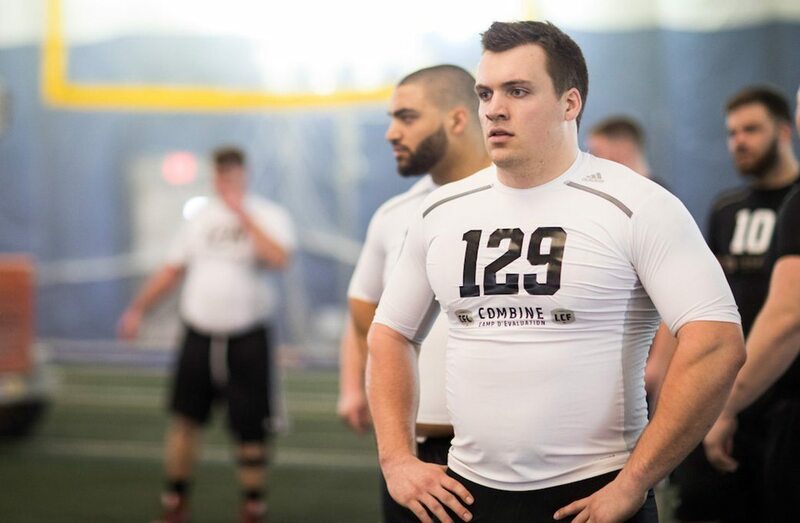 After four successful seasons with the Marauders, Mackie was looking forward to hearing his name called at the 2017 CFL draft. He remembers watching the live broadcast online, feeling a little discouraged that he had yet to be chosen. “Everyone is telling you, you’re going in this round, you’re going in that round,” he recalls. “You’re sitting there with your family watching, and you’re going ‘Ah crap, I’m not going to get chosen.’ Then all of a sudden, Edmonton, Alta., pops up on my phone. Mackie was picked by the Edmonton Eskimos in the last round of the CFL draft, 67th overall, and attended the team’s training camp. 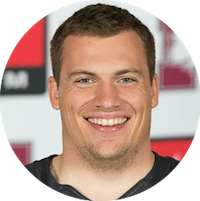 Being chosen in the CFL has been an especially special time for Mackie, who grew up watching the Toronto Argonauts play with his dad. 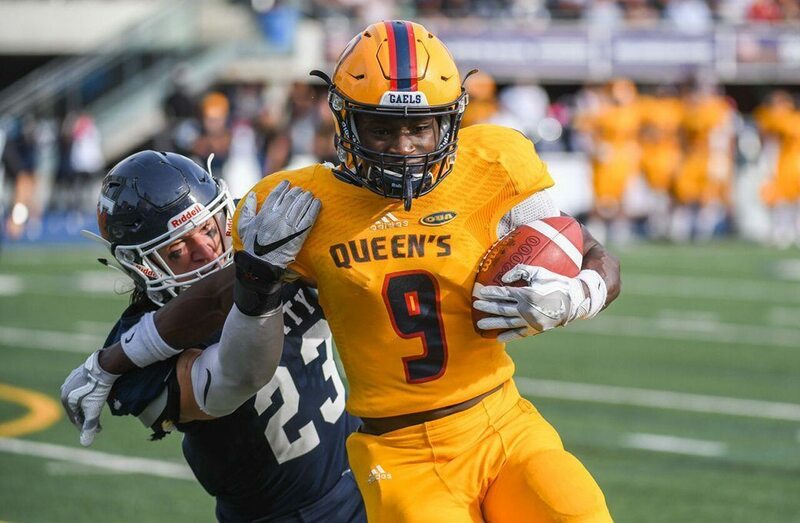 While his immediate goal is to try to crack the Eskimos lineup after the university season ends, Mackie has high academic goals. He says that he’s looking forward to applying to medical school, and intends to take the MCAT this year, but that if med school doesn’t work out, he’d be happy continuing to pursue his research in microbiology and physiology, where he contributes to a lab studying the effects of exercise on myotonic dystrophy. Outside of the classroom, Mackie made his presence felt in the community, being named the OUA nominee for the Russ Jackson Award, which “honours the football student-athlete who best exemplifies the attributes of academic achievement, football skill, and citizenship.” Mackie was chosen for his time management skills, as well as his work organizing a Marauders kids football camp, and being a part of the McMaster Athletes Care program that goes visits schools to talk about the positive effects that sports can have. It’s a really big honour, not only for what happens on the field, but also work in the classroom and in the community, To be recognized by the OUA in that capacity is really special. He was also awarded the Alma & Will Rice Memorial Scholarship - which is presented to the kinesiology student who proves outstanding academic achievements – along with being on the Dean’s Honour List three times during his time on campus.